Expensive dinner and junk food have become a daily affair of people everywhere. But sometimes it becomes a bit tedious to have the same food again and again. At such times all we want is something in the middle of a proper dine and fast food and that too in affordable prices. If you think so too then you do not have to worry at all. Ranaji presents the most scrumptious and lip-smacking dish of all time and trust me it won’t burn a hole in your pocket. Chur chur naan of Ranaji assures every food fanatic that he wouldn’t leave the place disappointed ever. Ranaji serves the all-new chur chur naan in just Rs 60 and the buttery naan will be accompanied by the tangy pickle and dal makhani which will just double the flavor of the crunchy and savory naan. 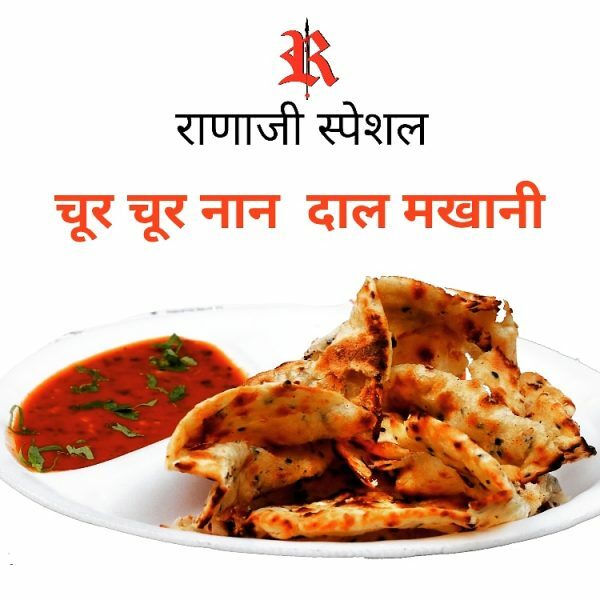 A large number of Naan is available at Ranaji, some of which are cheese naan, cheese garlic naan, chur chur naan, etc. Although all the dishes are a must try the cheese garlic naan is something which is absolutely irresistible and should not be missed by any foodie out there. Ranaji is a prominent brand in the city which is known for its scrumptious cuisine and satisfactory services since the year 2013. Ranaji has 5 eateries in the city. The first restaurant was started in 2013 at Fatehsagar. After that, Ranaji started their food truck (6 pm to 11 pm) situated at Sukhadia circle near Baskin Robins, where chur chur naan was first introduced, which is named as ‘Ranaji on wheels’. 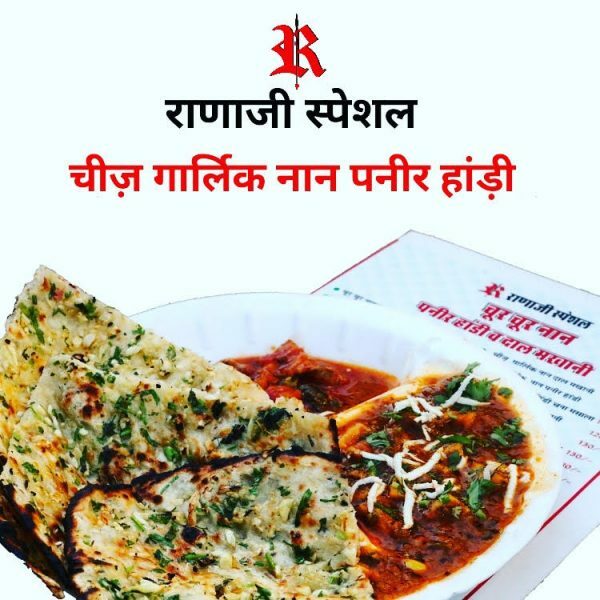 Following the food truck, a kiosk named ‘Ranaji special’ (12 pm to 5 pm) was started at Gulabbagh, then at the Choupati Bombay Market, Sukhadiya circle (12:30 pm to 12 am) and the fifth outlet is situated at Khaugali, Sukhadia circle (12:30 pm to 12 am). Few more outlets can be expected by Ranaji so as to deliver their services in the entire city. ‘Ranaji on wheels’ was started with an idea of the takeaway facility. This is why it provides freshly prepared, delicious and hygienic takeaway vegetables which can be bought desirably on a weight basis. The van covers different locations on different timings making it accessible to everyone in the town. Apart from that if you are in search of delectable Jain cuisine, then Ranaji has got that covered too. 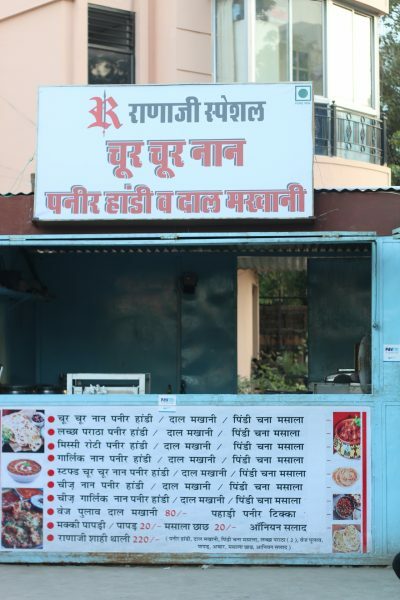 You can find Jain food at ‘Ranaji special’ near powerhouse lane, Gulab Bagh. Apart from the chur chur naan, Ranaji has some most scrumptious dishes like paneer handi, Pindi Chana masala, paneer tikka, Mughlai seekh kabab, mushroom tikka, tandoori aloo, pineapple tikka, etc. So, are you ready to have the ultimate foodgasm of your life in absolutely pocket-friendly prices? Then visit the nearest outlet of Ranaji and have the most savory dishes of your life. Previous articleThese Stats Show That Udaipur really is a Touristic City!